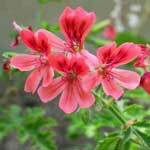 Geranium Bourbon Essential Oil or Geranium Essential Oil is native to France and India. The leaves of the plants are steam distilled to extract Geranium Essential Oil. It appears to be greenish yellow in color, soluble in alcohols, essential oils and insoluble in water. Our Geranium Bourbon Oil is applicable in aromatherapy for its pleasing floral aroma and a hint of mint. 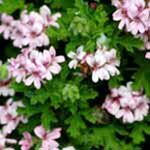 Rose Geranium Oil has a balancing effect and ideal for beauty and health care products. We are Manufacturers of the purest quality Geranium Oil, which relieves fluid retention and fights cellulite.